I Crown Thee BOOZECAT KING! This man is crowned king of the Boozecats because he is the only guy wearing a shirt. And he's wearing a really awesome shirt for that matter. 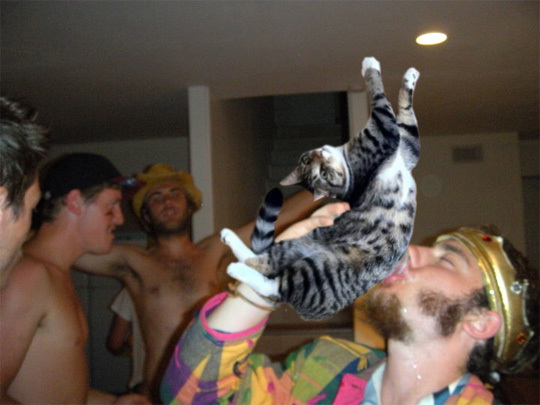 Also, Boozecats love it when you blow on their tummies. 60 sixty one 80 53.